The True Texas Travel Experience category returns for the 12th annual festival in Denton. Entries accepted through February 15. No one knows Texas like you do. Your perspective is as unique as you are, and we want to see the Lone Star State through your eyes. We’ll reward you, too. That’s why you should enter the True Texas Travel Experience category, sponsored by Texas Highways magazine, as part of the 12th Annual Thin Line Fest. 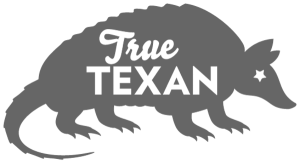 Thin Line, Texas’ international documentary film festival, is held in Denton from April 10-14, 2019. So grab your camera (a cell phone will do) and produce a Texas travel-themed video (up to 5 minutes). Keep your eye on the True Texas prize. 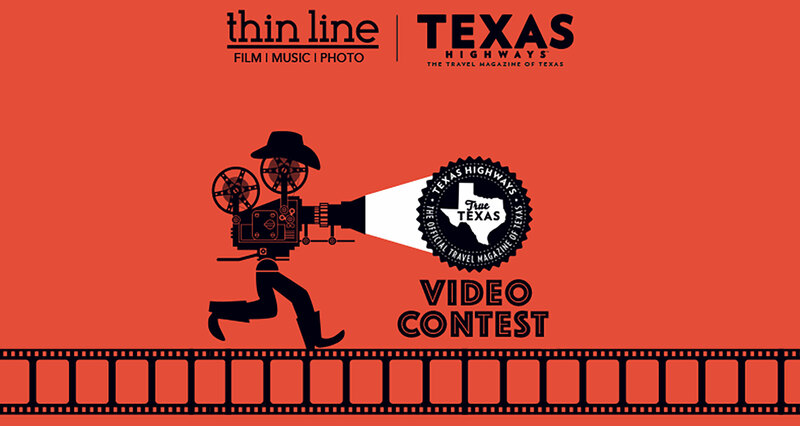 The winning entry, as well as a selection of finalists, will be screened at Thin Line, and also will be featured here on texashighways.com. A Piece of Texas: A Travel Documentary took home the top prize in Texas Highways’ True Texas short film category at Thin Line Fest 2018 in Denton. 8 additional films were recognized as finalists that sparked the inspiration to travel. Entries will be accepted through February 15, 2019. The True Texas Travel Experience category is for the best short documentary featuring an authentic Texas travel experience. Films need to be five (5) minutes or less. Judges will review traditional documentaries, mockumentaries, docufictions, docudramas, travelogues, events, or any film that celebrates the people, places and wide-open spaces that define the Lone Star State. The entry must tell a positive True Texas Travel Experience about Texas and Texas travel. Videos must contain some form of audio with usage permissions granted where applicable. Contest is open to amateurs and professionals who may capture their story by any number of means, including cell phones. Submit videos using a Vimeo link through FilmFreeway.com/festival/ThinLine. If selected for exhibition, the final exhibit format must be a digital file (either h.264 @25Mbps+ or Apple ProResLT+). Video must be the Entrant’s original idea (modification of a previously published work shall not be considered an original idea). Entries will not be excluded merely because another Entrant film has similarities. By uploading a video, entrant warrants that he/she is the sole author and copyright owner of the entry or has the permission (via license or otherwise) to use or incorporate those entry portions authored or owned by third parties, including music. Videos may not have been entered into any other contest or won any other award. Entrant shall not publish their films or submit them to other contests prior to the Film Fest screening. Videos not selected for the True Texan category may be moved into the general documentary category. The entry must not violate the intellectual property rights of any third party. That means that the video should not contain a trademark or logo of another company, nor any copyrighted materials such as music or photographs. All participants in the video must understand and agree that the video will be shared publicly via social media and other online platforms. Videos may not include third parties, including, but not limited to, minors, celebrities and friends, who have not expressly authorized Entrants to display their image, likeness or voice. For anyone under the age of 18 appearing in a video, Entrant represents and warrants that the minor’s parents consented to the minor’s appearance in the video and the public display of the video on TexasHighways.com and social media sites. Videos must be void of all commercialization. Entries perceived as commercial endorsements for businesses and products will be disqualified. Entrant grants the State of Texas, including the Texas Department of Transportation and Texas Highways magazine a non-exclusive, worldwide, perpetual, assignable, royalty-free license to publish, reproduce, distribute, display, perform, create derivative works, transmit or disseminate the Entrant’s video without further compensation. Entrant grants the State of Texas, including the Texas Department of Transportation and Texas Highways magazine a non-exclusive, perpetual, royalty-free, worldwide, fully paid-up, assignable license to use Entrant’s name, photograph, likeness, statements, biographical information, voice, voice likeness, city and state address, and to use, reproduce, display, modify, and create derivative works of all or any portion of the video entry for advertising, publicity and promotional purposes in all media, including, without limitation, on air and within texashighways.com, Texas Highways social media sites and Texas Highways magazine in perpetuity, without further notice or compensation. Submission of a film to the True Texas Travel film category does not grant Texas Highways magazine or any third party any ownership to Entrant’s intellectual property beyond the license set forth above. Entrants retain ownership of their work. Entrant must agree to give Texas Highways magazine and Thin Line Fest the rights to live-stream during film screenings. Entrants must be at least eighteen (18) years old at the time of entry. Employees of Texas Highways magazine, the Texas Department of Transportation and other companies associated with the promotion of the contest, and their respective parents, subsidiaries, affiliates and advertising and promotion agencies as well as the immediate family (spouse, parents, siblings, and children) and household members of each are not eligible to win prizes in the Travel category. Entries will be accepted Sept. 18, 2018 through Feb 15, 2019. Entries will be judged and the winner will be selected on or about March 1, 2019. The winner and finalists will be notified by email, mail or phone on or about March 1, 2019. Selected winners must submit final exhibition copies to the festival in digital format file (either h.264 @25Mbps+ or Apple ProResLT+) no later than March 22, 2019. All finalists and selected honorable mention entries will be highlighted on TexasHighways.com and in Texas Highways magazine’s social media postings. Up to 20 finalists will be invited to a special screening and red carpet event at the Thin Line Festival set for April 13, 2019, where the Grand Prize winner will be announced. One (1) Grand Prize winner will receive $2,000 in cash, plus a 3-night/4-day stay at Port Royal Ocean Resort in Port Aransas ($2,000 value). By participating, entrants agree [a] to these rules and decisions of Texas Highways magazine, which shall be final in all respects relating to this promotion; and [b] ENTRANT RELEASES, DISCHARGES AND HOLDS HARMLESS THE STATE OF TEXAS INCLUDING TEXAS DEPT. OF TRANSPORTATION AND TEXAS HIGHWAYS MAGAZINE FROM ANY AND ALL INJURIES, LIABILITY, LOSSES AND DAMAGES OF ANY KIND RESULTING FROM THEIR PARTICIPATION IN THE CONTEST. ; Entrant acknowledges that all information provided to the Texas Dept. of Transportation or Texas Highways magazine is subject to the Open Records Act, Texas Government Code §552.